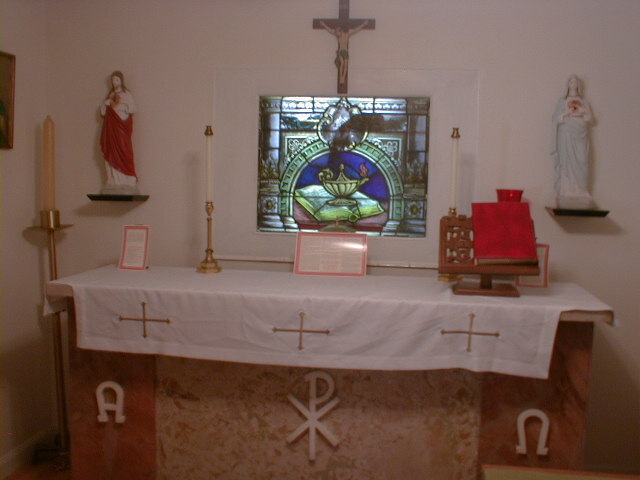 In the Church founded by Christ the altar is where the Sacrifice of the Mass is offered. The chapel altar is placed against the wall of the apse, so that the celebrant faced the east and the people are behind him. 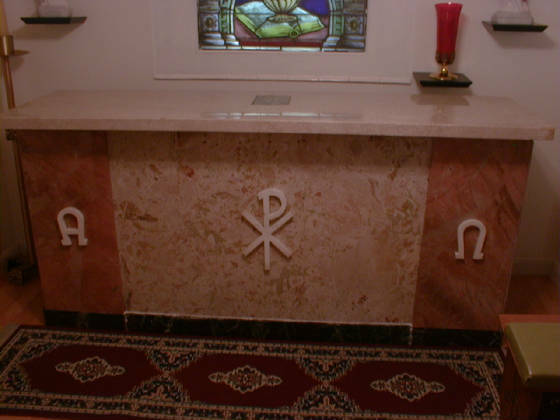 Ecclesiastical law now stipulates that to be consecrated an altar must be of stone and our chapel altar is of marble. 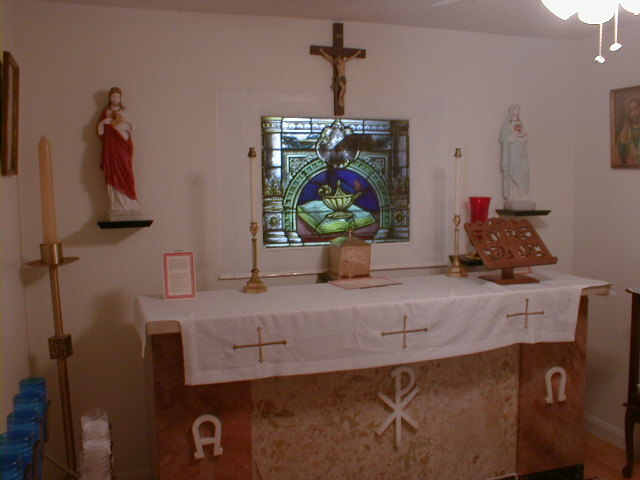 And our chapel altar contains the relics of canonized martyrs as decreed by Saint Felix I. 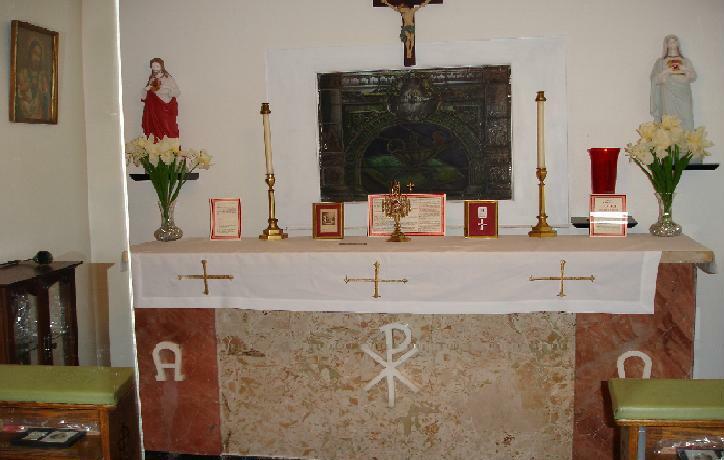 The altar stone contains the relics of two canonized martyrs, three grains of incense and a small piece of parchment on which is written an attest of the consecration by a bishop. 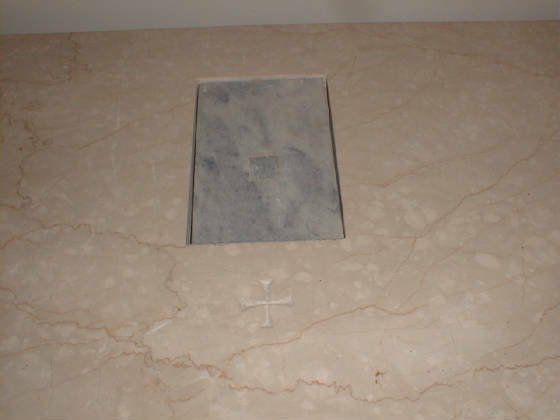 This marble reliquary is placed within the hewn out cavity of the marble mensa. And of course the mensa has crosses carved into it in the traditional five locations. The host and chalice are placed on the altar stone during the Sacrifice of the Mass. 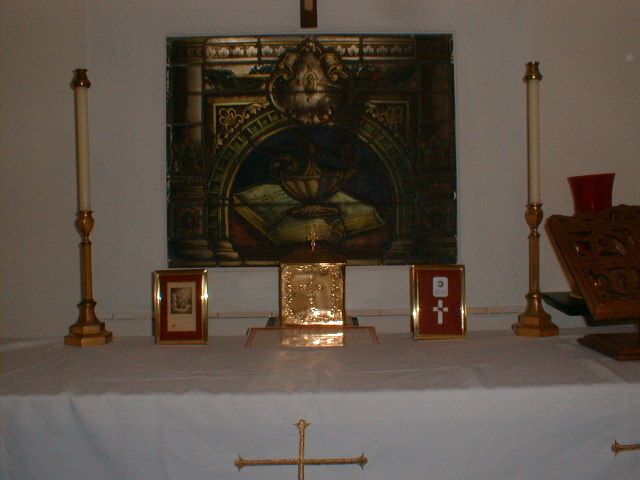 Altar showing display of properly documented second class relics of Saint Therese of Lisieux, also known as Therese of the Child Jesus, and Blessed Miguel Pro, S.J. for veneration.